Mosquito Tek was founded in North Carolina in 2011. Mosquito Tek is a well-respected independent mosquito control company that provides protection for outdoor areas for residents in North Carolina, and now we are expanding our exceptional customer service to Manassas, Gainesville, Woodbridge, Buckhall, Bristow, Dumfries, and the Haymarket Virginia area. 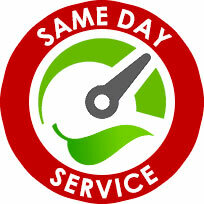 We are not a franchise and we work to provide you the best value available from a pest control service. Our excellent customer service and transparency in our processes make us the best choice for protecting your family, pets and property from unwanted pests and insects. Why should I choose Mosquito Tek over the competition? Mosquito Tek does more than just mosquito control. We can help from everything from the mosquitoes plaguing your home and yard in the summer to all your pest control needs year-round, since we are a full-service pest management company. Since we offer our services year-round through EcoTek Termite and Pest Control, we can employ the same technicians all year. Our employees each undergo a background check and our insured. They are fully trained and certified in pesticide laws, safety and regulations. They will visit in a uniform, making it easy for you to trust the technicians. We do not employee contractors. Our owner, Brandon Cordell, brings over 20 years of experience in the entomological and horticultural services industry. He has been active in the Mosquito and Vector Control industry for the past 7 years. Call us with a quote and we’ll beat it by 10% Guaranteed. 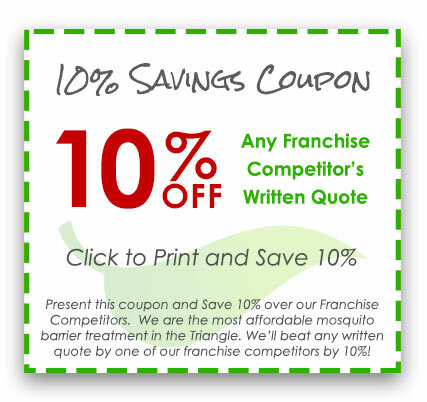 100% Satisfaction of Mosquito Free Living Guaranteed. If you see mosquitoes, fleas or ticks, contact us by phone or email. Within 48 hours, we will come to your property to respray your yard at no additional charge. 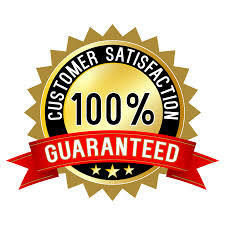 Our 100% Satisfaction Guarantee and our 100% Money Back Guarantee is offered on all of the Mosquito Tek Mosquito Barrier Programs. If you choose to purchase one of our Misting Systems, it will come with a Limited Lifetime Warranty and a 2 year “bumper to bumper” warranty. Read the fine print here. Call 703-659-0965 or Contact Us here to protect your yard from mosquitoes.